since my buzzcut does not exactly give me much to play with……..
surely this is not a everyone / everyday look but it you are curious how i did it…..
for my lips i wanted a mat barely-there color. (i didn’t want them to distract from the green, but leaving them completely untreated didn’t seem right either…. 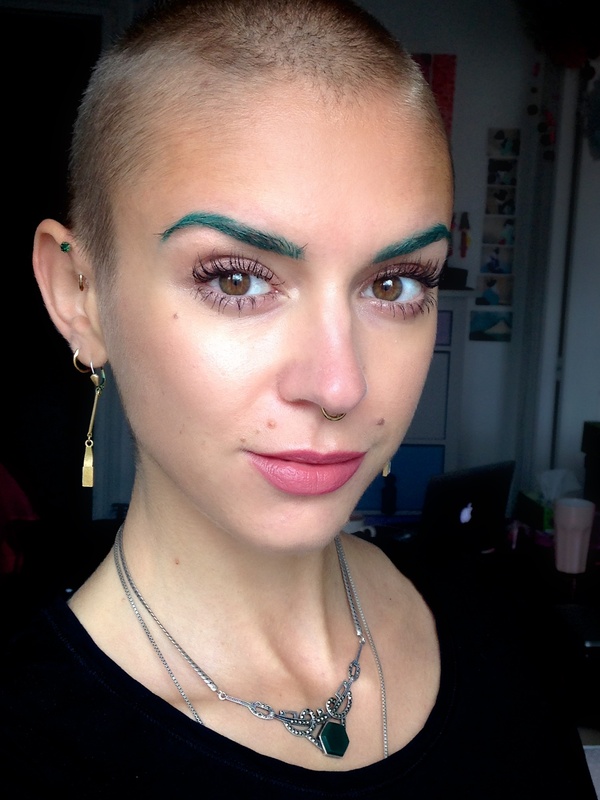 if you are walking the streets with green eyebrows you gotta finish the whole look… you know what i mean?). i got this lipstick “twig” in a mac cosmetics goody-bag… and since i don’t have naturally defined i-am-not-wearing-lipstick-i-promise lips a shade like this can be helpful. i will definitely be having more fun with this!